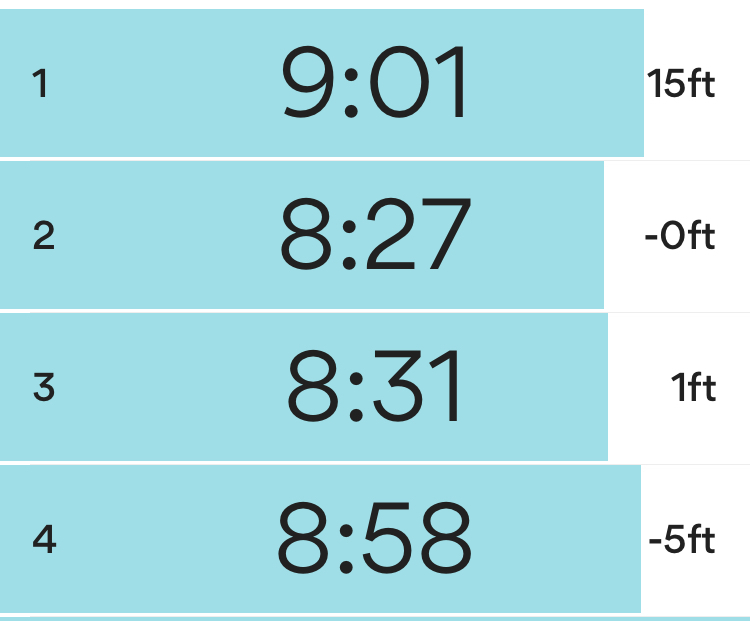 I say this so often but it’s worth mentioning again that if I didn’t track my workouts for these workout recap blog posts, I would NEVER remember what I’ve done. Like for example, I had completely forgotten that I ran 6.2 miles on Monday. If you would have asked me, I would have guessed that maybe I ran 5 while recalling nothing specific about it! Not that it really matters much regardless. I’m not training for anything (I’ve only ever trained for one race – my last half in 2016) and I’m not focused at all on hitting a specific distance or pace or anything like that. I just do something almost every morning. It’s either a run morning or a Pure Barre morning. That’s about all there is to my workout routine, but it still counts as a routine! In fact, I’m so routine that when I didn’t work out at all Friday morning, I had to be conscious enough to remember to brush my teeth. I’m not even kidding! I’m so routine with my mornings that not getting ready to exercise left me a little confused as to when to brush my teeth. Regular people may find that weird but not morning runners, you understand. Right? It wasn’t raining and the humidity felt lower than its been so today’s run was great! I’m still navigating around road work in my area but I did a good enough job of doing so as I was able to push my pace without too much interruption. Quick 5 minute Pure Barre workout for seat when I got home because I still had some time before getting my day started. I ran 4 miles and then felt like stopping, so I did. But I had time and it was decently nice out (as in, not raining) so I walked for maybe 30 minutes. Quick 5 minute Pure Barre for thighs before hopping in the shower! It’s not like I rested so I won’t call this a rest day. I just didn’t run or walk or do Pure Barre. 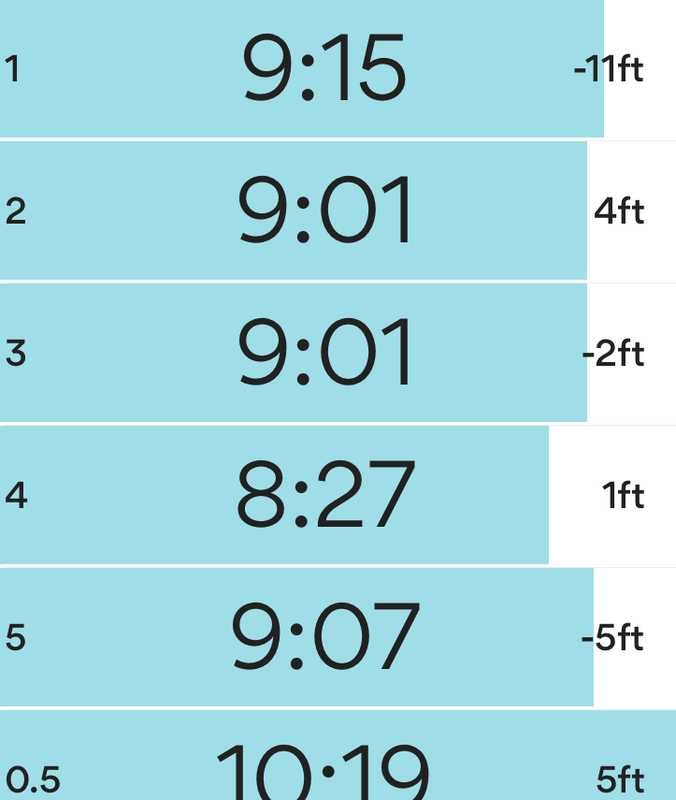 My splits appear slower than usual for me but that’s mostly likely because I added speed intervals at random times (fartleks I guess) so my assumption is that my easy sections were really easy, giving us not a great indicator here for effort if all we do is look at a split pace. 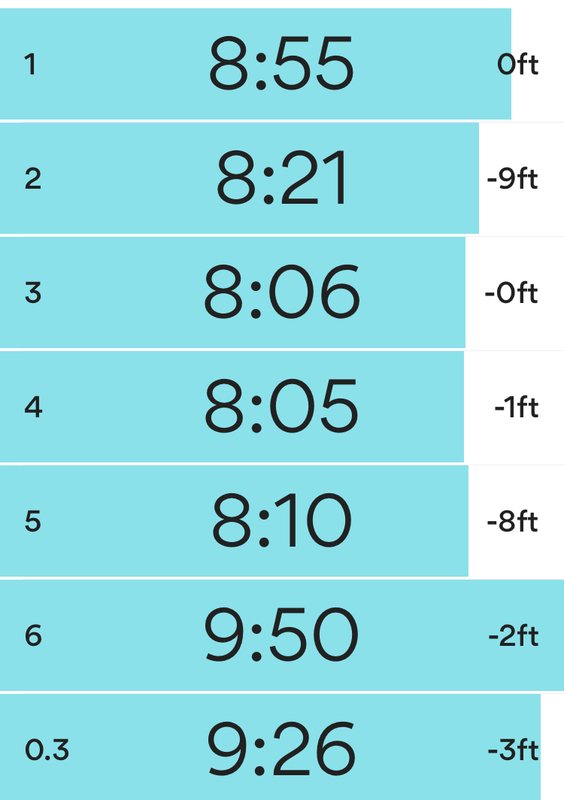 It’s actually evident in the final split listed, that must have been my pace when I hit 5 miles. 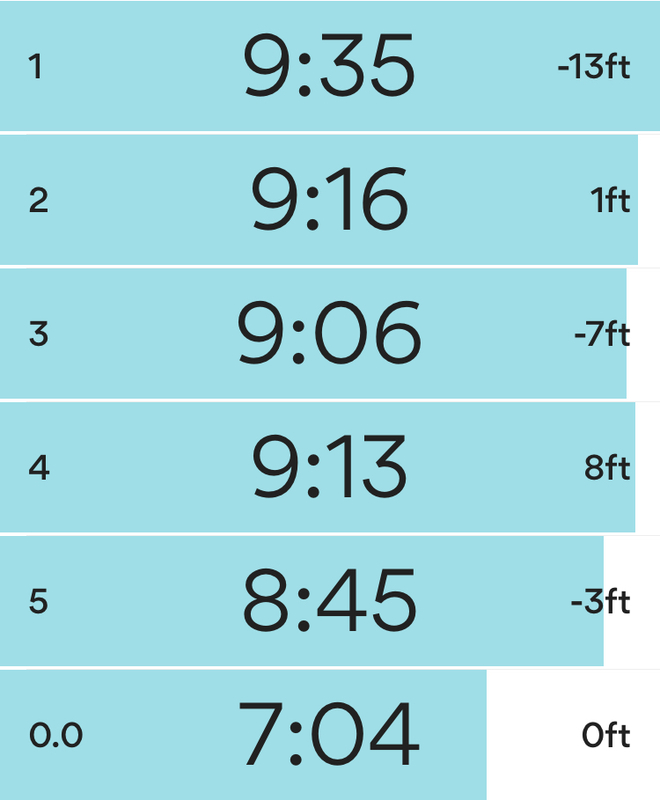 I’m not overly technical about tracking my pace and splits (I use Runkeeper) — I think this gives me more than enough information. I didn’t feel like running more than 5 miles but ended up walking for a while, maybe 2 miles? Not sure. How was your week in workouts? Do you keep track of your workouts or totally forget by the weekend what you did on Monday? Are you super routine in the morning when you get ready? Cheesecake Factory Crispy Brussels Sprouts! If I didn’t have my workouts on my Garmin and pictures on Instagram I would never remember what I did each day. A few weeks ago my routine was thrown off and I ended up locking myself out of the house without my keys! (I usually put them in my bag when I leave for work). I definitely rely on my morning routine otherwise I feel so thrown off. On my rest days, I usually end up working on the sofa in sweatpants until mid-morning, since my normal routine is to shower, get dressed, and settle into my desk after a run. I’m routine with stuff too! This morning, I let my dog out then ate breakfast before I finally realized I hadn’t brushed my teeth. All because I’m house sitting for my boyfriend’s parents so I’m slightly off with everything.